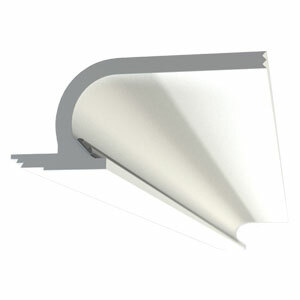 A plaster-in 48mm wide anodised aluminium profile, for concealed integrated lighting. 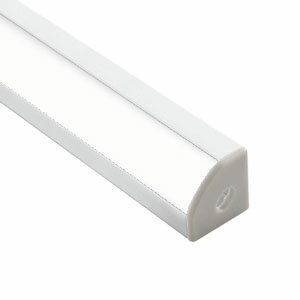 This 90° edge lighting channel can take flexible LEDs up to 9.5mm wide. Choose an opal diffuser for a spotless light distribution, and clear diffuser for higher efficiency. 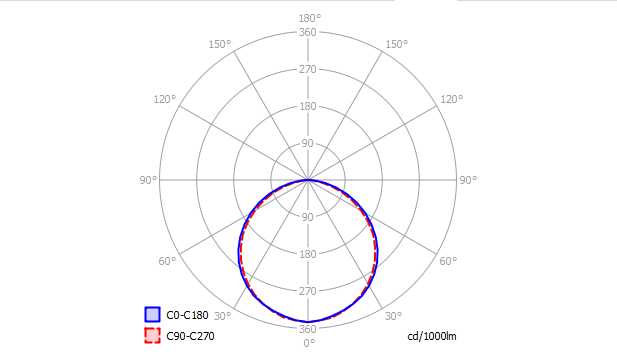 The specifier can dictate the length and configuration of the product. 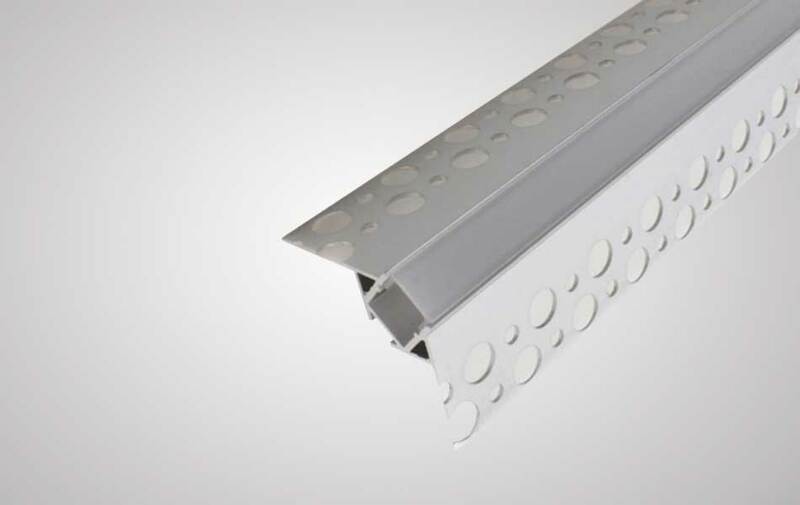 This profile is available in 2.5 metre sections and can be cut on-site or ordered Made to Measure, Diffuser and End Caps are included. 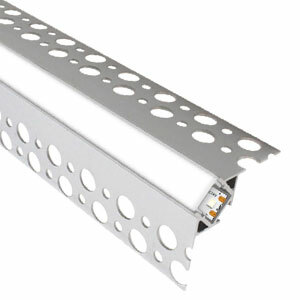 Choose your LED light source and control options from our linear LED range. 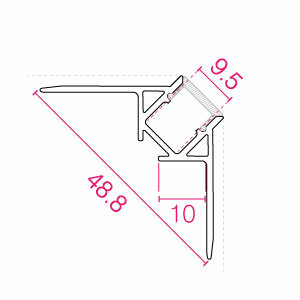 Dimensions (mm): 48.8 (W) x 10 (D) x 2500mm or Made-to-Measure Lengths. Cut-out (mm): 10mm depth into corner, plaster skimmed to profile edge.